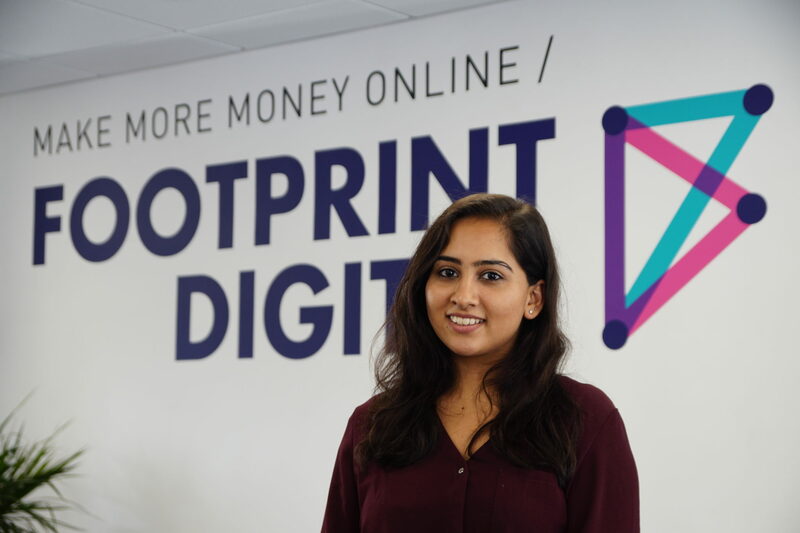 This week, we have been joined by an extra member of Footprint Digital – Simran, a student from the University of Essex. She is taking part in the Insight Experience – a week long placement where a student gets to observe a local business, getting involved in daily activities, and creating a piece of writing about their experience. 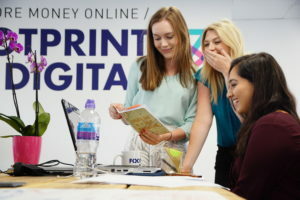 We are really passionate about supporting the University, and their students, and jumped at the chance to have a student use Footprint Digital as a case study! Simran interviewed with us a month or so ago, and although competition was tough, she was clearly a great fit for the company. This week, she will be blogging about her experience on our website- so make sure to check back and see how she gets on! In collaboration with the University of Essex, Footprint Digital has created an amazing opportunity for a student to work alongside them for a week, which I have been chosen for. My role in the insight experience is to create a piece of marketing collateral which tells the Footprint Digital journey and also to give a real essence of what the company is about. Pressure, much? On the contrary, whilst this is quite a daunting task for a first year undergraduate to undertake, the environment and atmosphere within Footprint is quite the opposite. I arrived in the office at 8:55am on Monday morning, nervous and a little bit anxious, thinking about whether the week I am going to have would be like heaven or hell. However, as I opened the wooden oak door, I was greeted by an air of serenity and calmness within the room that I wouldn’t expect in an office on a dreary Monday morning. After getting used to the atmosphere, the content manager popped up and with a smile, asked if I was Simran. I agreed and one of the relationship managers introduced herself to me with a warm handshake; I was introduced to the rest of the team who all greeted me warmly and welcomed me in with open arms. It was immediately comforting to know how friendly everyone was; especially the directors who you would assume would be very intimidating. The rest of the morning included more introductions to people and the company itself, all in a very relaxed and conversational manner. The company’s support network and its belief in an open and friendly environment are evidently reflected upon the team who are especially friendly and helpful. From the morning Relationship Manager huddle to throwing baby toy chicks at each other, the environment at Footprint is very playful, however, this doesn’t mean to say that they don’t work hard. There would be instances in the afternoon where all you would hear are keyboard keys being tapped away at a fast pace and the phone ringing, depicting the team’s strong work ethic. All in all, the team at Footprint make it very easy for someone to settle in and feel comfortable. Glad to hear that you have had a great first day! Looking forward to hearing about the rest of your experience at Footprint Digital.